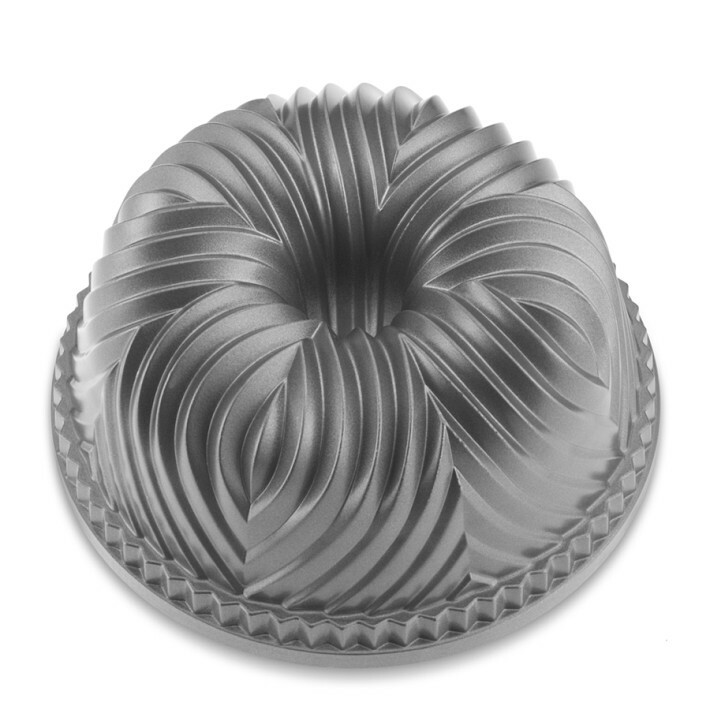 I've always admired the beautiful cake designs from Nordicware cake pans, but have always had some difficulty with the more intricate designs of the pans. A simple bundt shape was never a problem, but some more elaborate designs could be difficult. But I have some tips for you that I've learned from trial and error that will make baking a breeze for you. Prepare the pan correctly. I used non-stick cooking spray, being careful to not have an excessive amount on the pan. Then I lightly sprinkled some flour around the pan, carefully coating the cooking spray with a light dusting. Fill the pan correctly. Evenly pour the batter into the mold. After I poured in the batter, I tapped the pan on the counter to get out the air bubbles. I made this Pink Lemonade cake using the Nordic Ware Bavaria Bundt Pan from Williams Sonoma. 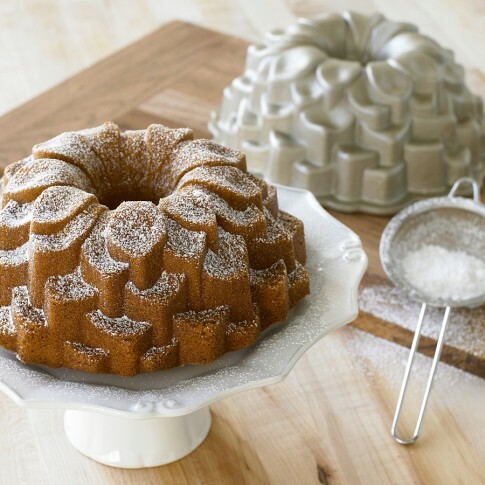 The Blossom Bundt Cake Pan is on my wedding wish list! I'll let you know how it goes with that pan if I receive it. Do you have any baking tips or tricks that you would like to share? I'd love your suggestions.